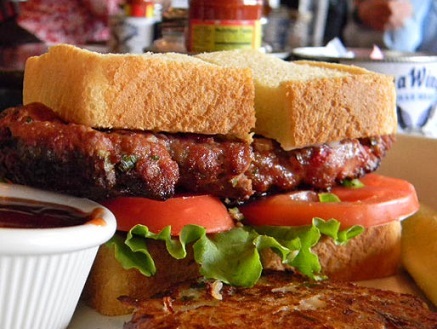 A Meatloaf Recipe is thought to be old-fashioned by some people. Most, however, refer to meatloaf as comfort food, especially when served with mashed potatoes and gravy. 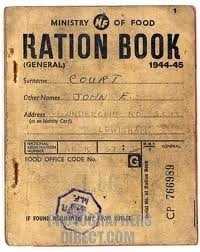 So-called old-fashioned meals have always been served at my restaurant. In fact, after 9-11 my restaurant experienced increased demand for these comfort foods. The demand remains strong today. Preparation time: 20 minutes. 10-12 servings. Any meatloaf remaining can be used in soup or spaghetti sauce or on sandwiches (also loved by my guests - see below). An option for this beef recipe: Top with tomato sauce or Marinara sauce or brown gravy to serve. Option #2: Divide your raw meat mixture into 6 ounce portions. Form each portion into a thick, oval patty and fry in a large skillet with a little oil to brown. Then drizzle with beef broth and finish in a 300 degree F oven on a sheet pan (about 30 minutes). Presto! You've got Salisbury steak for dinner! Thanks for visiting. 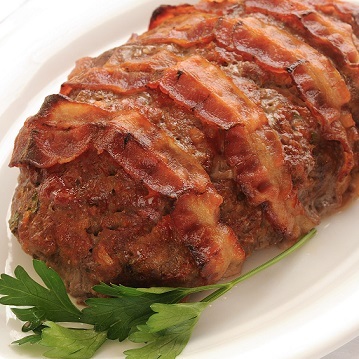 Enjoy your meat loaf recipe and the company of those you share it with! 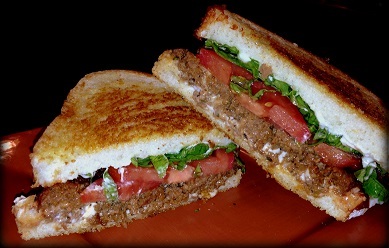 Don't forget to click around the website for more beef recipes and sandwich recipes. All these recipes are real restaurant recipes! Did you know? 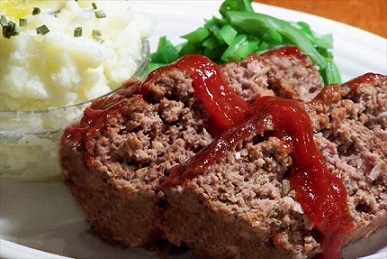 Meatloaf has been voted the seventh-favorite dish in the United States according to Good Housekeeping. During the Great Depression and WWll, cooking meatloaf was a way to stretch the food budget for families, using an inexpensive type of meat and other ingredients as leftovers.